Createanet and Duchy Hotels show the rest of the field how it’s done. Booking your next break with this stylish hotel collection has never been easier, thanks to the Torbay Hotels app. The app enables users to view the hotels and facilities, book rooms, reserve tables an even send a virtual postcard, either from the hotel gallery or uploading one of their own photographs. This high quality app consigns brochures to history with its breathtaking photographs and ease of use. 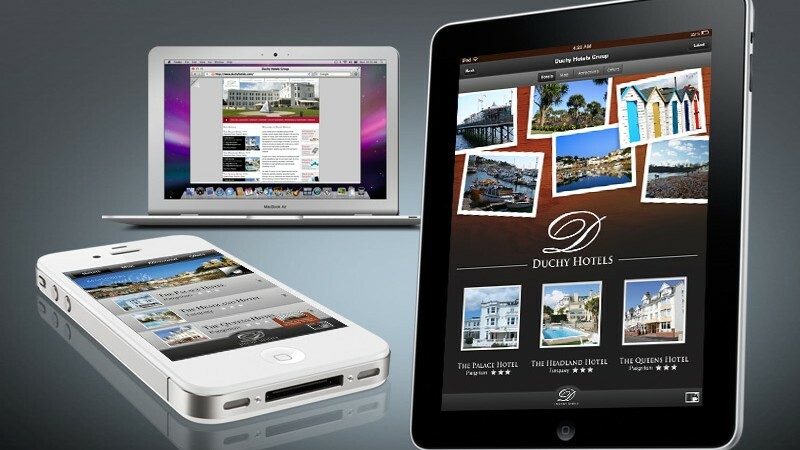 For Duchy Hotels, promoting special offers or filling that last minute cancellation have never been easier. The app has a secret marketing weapon with its ability to push messages direct to users’ phones. Createanet predicts the end is nigh for the traditional hotel brochure, which is out of date before it leaves the printers. This is “Wish You Were Here”, the 21st century way.